Soulfire is back with its biggest story-and greatest challenge to its heroes ever! Grace and Malikai have fought together to bring magic back to a world of technology, but now Grace is convinced that there is only room for one all-powerful source of energy. Magic. New battle lines are drawn. New enemies. New Allies. Fighting for the very future of the world itself. Behold The Battle of the Light! Veteran Soulfire scribe J.T. 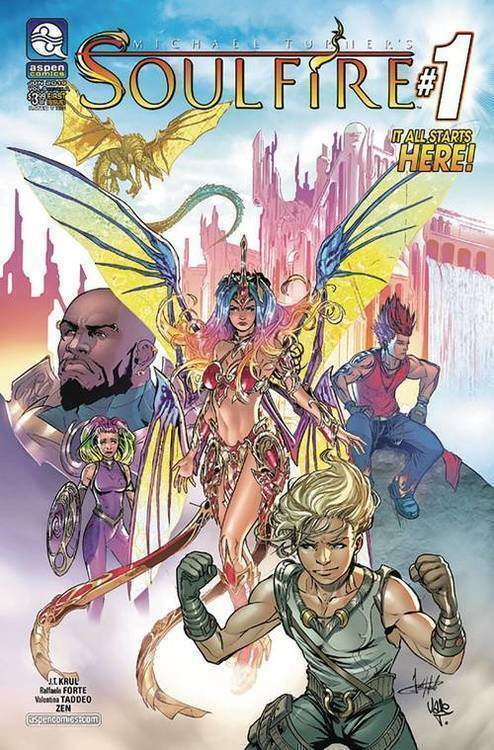 Krul (Soulfire, Jirni) returns and teams up with rising star Raffaele Fort and colorist Valentina Taddeo (Aspen Visions: Soulfire) in this magical world-shattering new volume that will change the face of everything you know about the Soulfire Universe!